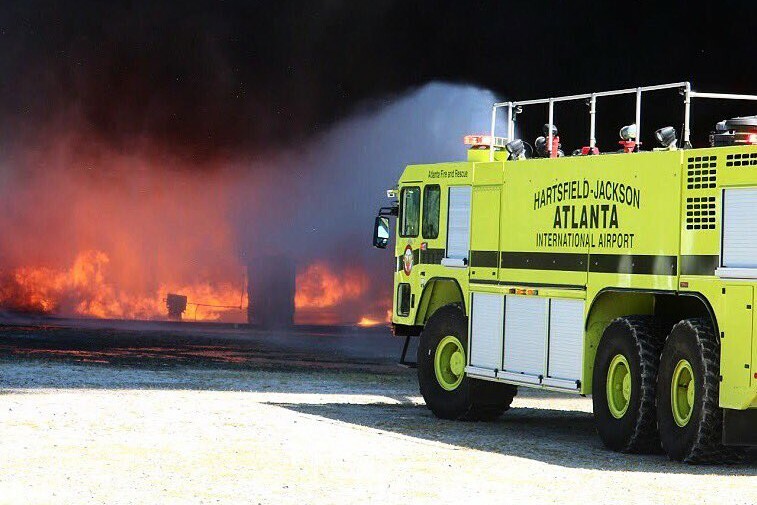 At 12:38 p.m. Sunday afternoon, December 17, employees from Georgia Power noticed outages in its system that were subsequently traced to a fire in an underground service tunnel at Atlanta's Hartsfield-Jackson Airport, where the airport's electrical system is located. By 1:06 p.m., the fire was so extensive that it caused multiple faults, leading to a blackout at the world's busiest airport and leaving over 1,100 flights delayed and tens of thousands of people stranded in the darkened terminals or on the tarmac. The fire's intensity prevented Georgia Power crews from immediately being able to gain access to the tunnel in order to restore power. By 3:30 p.m., fire crews had contained the fire. However, it still took awhile before power crews could enter the tunnel to begin repairs. "Because of the types of fumes that came through the tunnel as a result of the fire, we had to take some time before the team from Georgia Power could access the tunnel," said Atlanta Mayor Kasim Reed. "We know there was a failure in the switchgear that caused the fire that absolutely created the issue," said Paul Bowers, president and CEO of Georgia Power, speaking on ABC's Good Morning America Monday morning. The system was set up such that the cables coming from two separate substations (one for main power, the other for backup) came together in one place in the tunnel. Cables from both substations were mounted on a wall, with the switchgear located at the base of the wall. When the switchgear ignited, flames shot upward on the wall and burned through the wall, setting the cables on both sides of the wall on fire, and taking out both the main system and the backup system. Still unknown at this point: What caused the fire in the switchgear. While it is too early to determine exactly how to prevent future problems of a similar nature, Georgia Power is considering at least three options. One is to isolate the switchgear, perhaps in a concrete encasement. The other is to install a concrete encasement around the wires on the wall. A third option would be to separate power sources for each concourse.